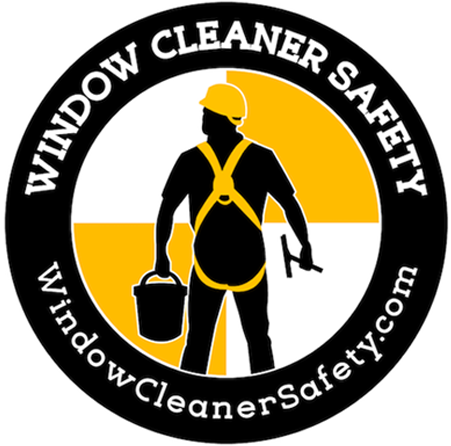 FACT SHEET: How Often Should Windows Be Cleaned? Do You Own your Window Cleaning Business? There are three main considerations when scheduling window washing frequency; aesthetic appeal / image and prevention of glass surface damage. Height above ground, street/sidewalk proximity, vehicle and pedestrian traffic all are significant factors affecting effective window cleaning frequency. Landscaping, sprinkler systems and building architecture also all play a role. External impacts such as exposure to wind and rain and the intensity thereof, the amount and composition of airborne particulates and organic vapors are all significant factors; in addition building design and facade materials also effect the glass and can cause glass surface damage that may be very expensive to remediate if not properly maintained. Now more than ever people will form an impression of the establishment they are entering even before even opening the door. Crisp, Bright and Clean windows send a message to Customers, Clients and Employees and answer unspoken questions in their minds. Such appearance considerations are particularly a factor when a presentation of cleanliness and/or financial stability and trustworthiness are desired such as in Restaurants, Health Care Facilities, Insurance/Financial Institutions and Professional Offices. If a constrained budget is an issue; Neglect may be far more expensive mid-long term, than appropriate maintenance It may be possible to design a glass maintenance program which addresses all of these concerns and considers your budget. Please call Great Lakes Window Cleaning, Inc. (517-482-4040) for a consultation. High rise surfaces two to four times a year. Interior surfaces twice a year. The Systematic Cleaning and Restoration of Architectural Glass, by Paul Düffer Ph.D.
© Great Lakes Window Cleaning, Inc. and GreatLakesWindowCleaning.com, 2014, 2015. Unauthorized use and/or duplication of this material without express and written permission from this site’s author and/or owner is strictly prohibited. Excerpts and links may be used, provided that full and clear credit is given to Steven L. Miller and Great Lakes Window Cleaning, Inc. with appropriate and specific direction to the original content. ← FACT SHEET: How is Great Lakes Window Cleaning Different? 501 W. Mount Hope Ave. Serving Lansing, East Lansing, Okemos, Holt, Meridian Township, Bath, Shaftsburg, Owosso, Perry, Haslett, DeWitt, St. Johns, Laingsburg, Grand Ledge, Delta, Windsor, Delhi, Mason, Webberville, Aurelius, Eaton Rapids, Leslie, Rives Junction, Pleasant Lake, Jackson, Chelsea, Mid-Michigan, White Oak, Pinckney, Howell, Brighton, Battle Creek, Ann Arbor and surrounding Central Michigan Areas, including Ingham, Eaton, Clinton, Shiawassee, & Livingston Counties.